It’s already a month through 2015 and Stars or Mars are preparing for a new show! 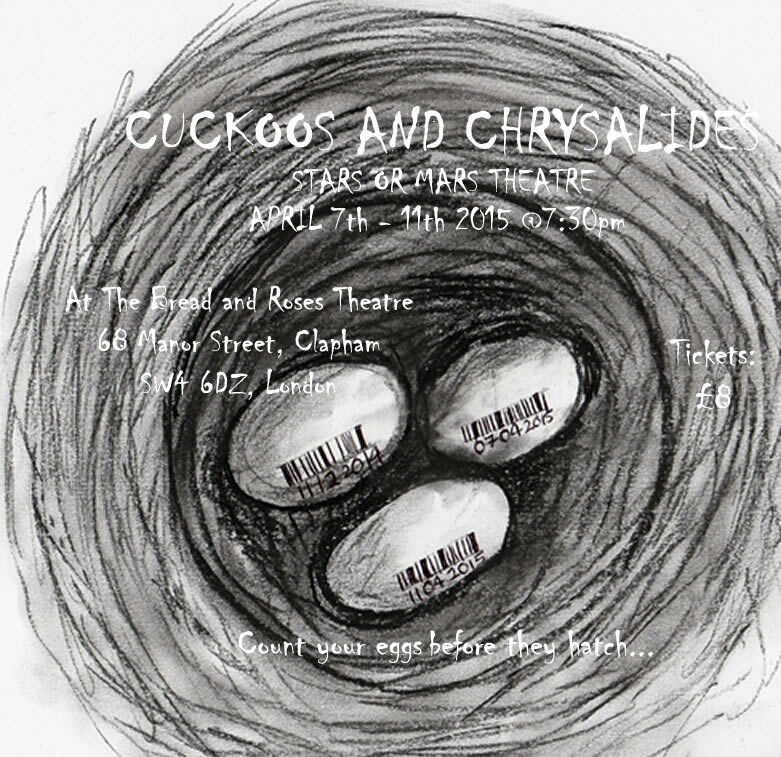 We are proud to present the play Cuckoos and Chrysalides – out from April 7th-11th at the Bread and Roses Theatre, Clapham. Cuckoos and Chrysalides depicts the story of a woman who is preserving her children to the time she feels right by uploading them. Her mother is helping her against the social backlash as the space to upload is becoming contested by many sources. Who will get the space and who is in control? We’re really looking forward to this one! The site will be up soon. In the mean time, if you’d like to be ahead of the pack, tickets are sold here.